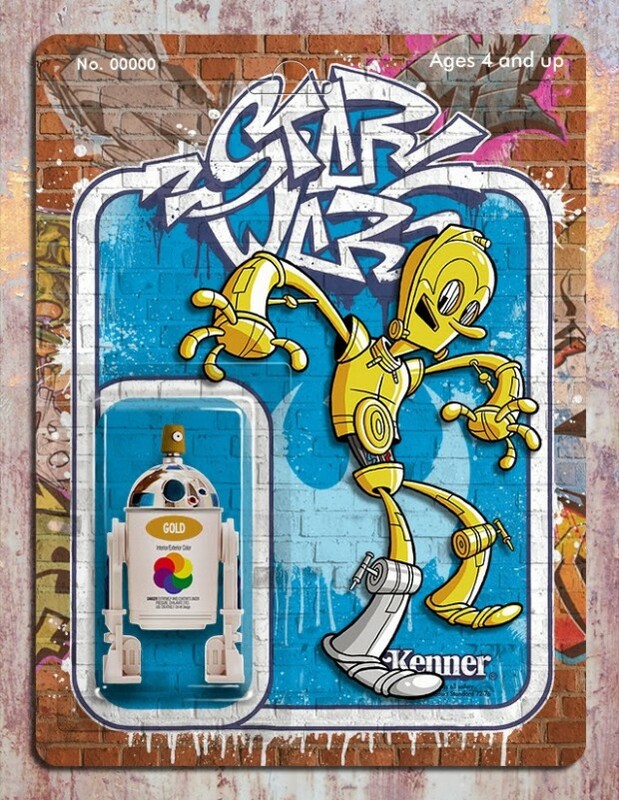 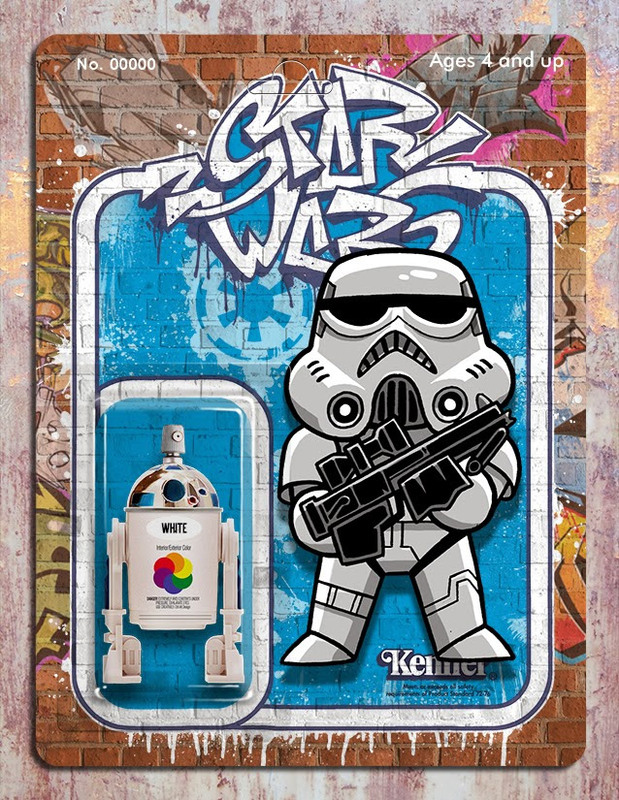 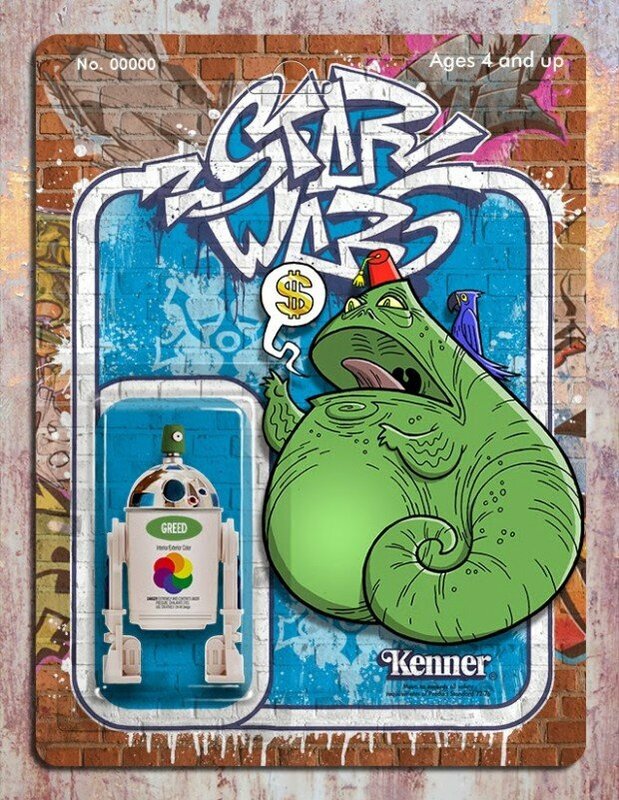 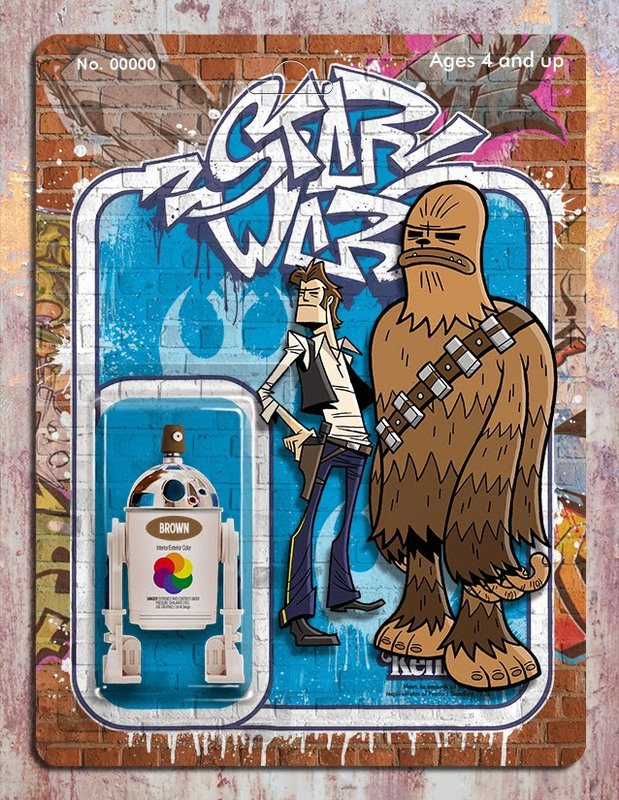 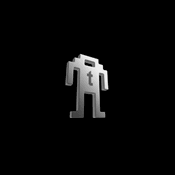 Animated character designer Phil Postma created this series of imaginary Star Wars action figures cards after he saw an image of an R2-D2 action figure that looked like a tiny spray can. 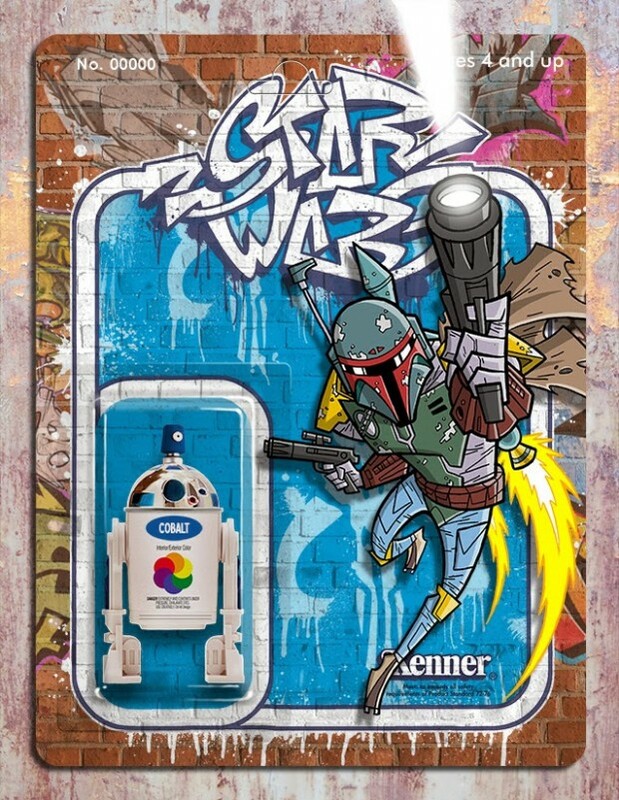 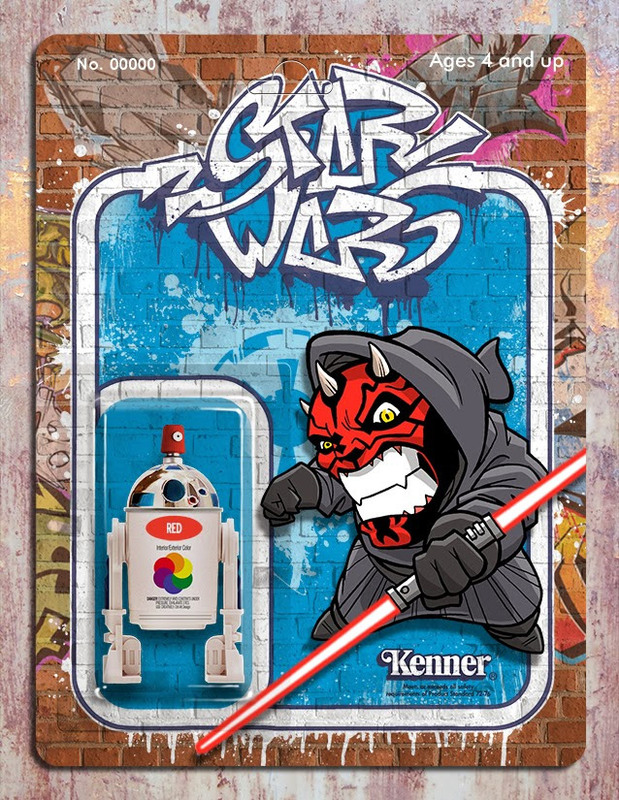 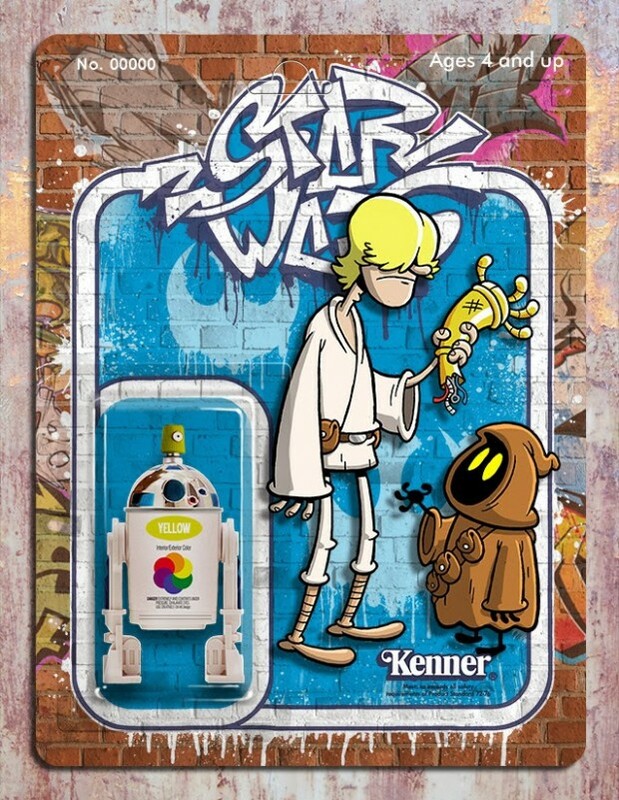 I love the graffiti art style of the images, and think it would be awesome if they actually made a Star Wars animated series with this look. 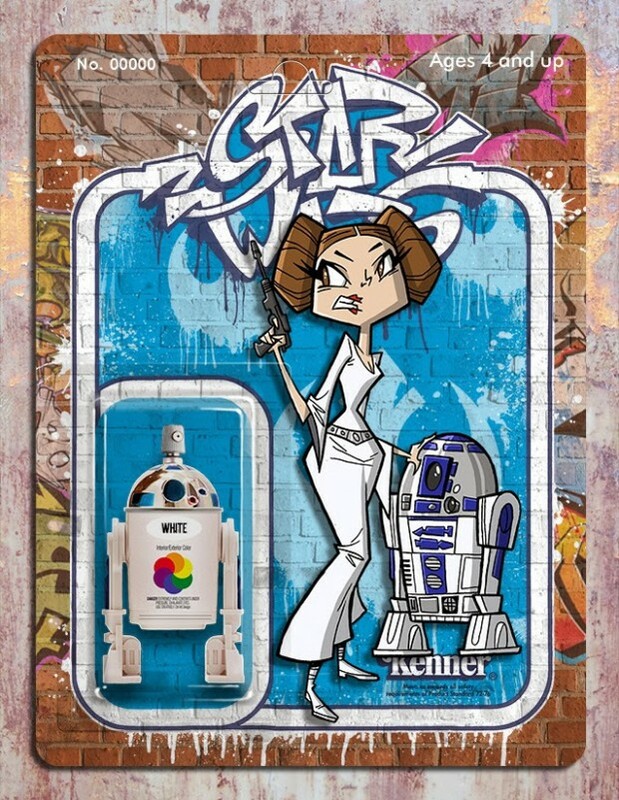 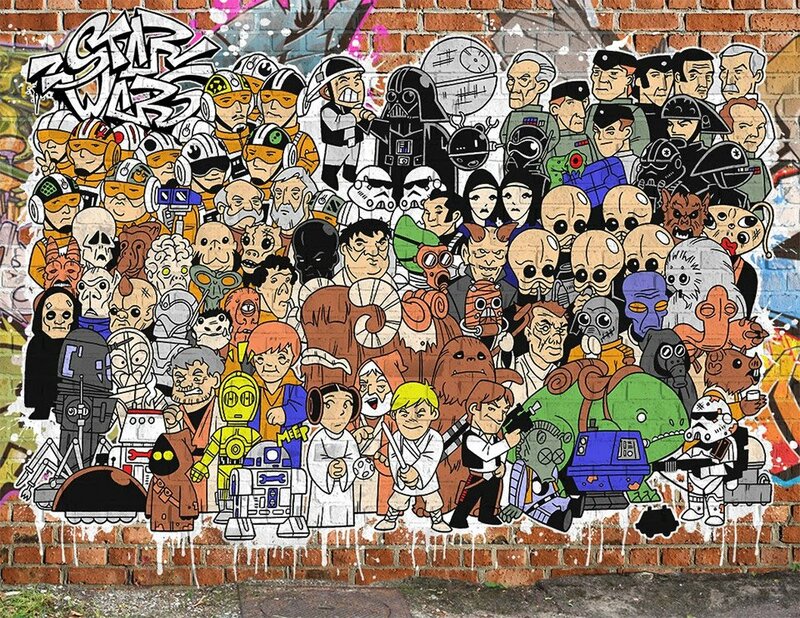 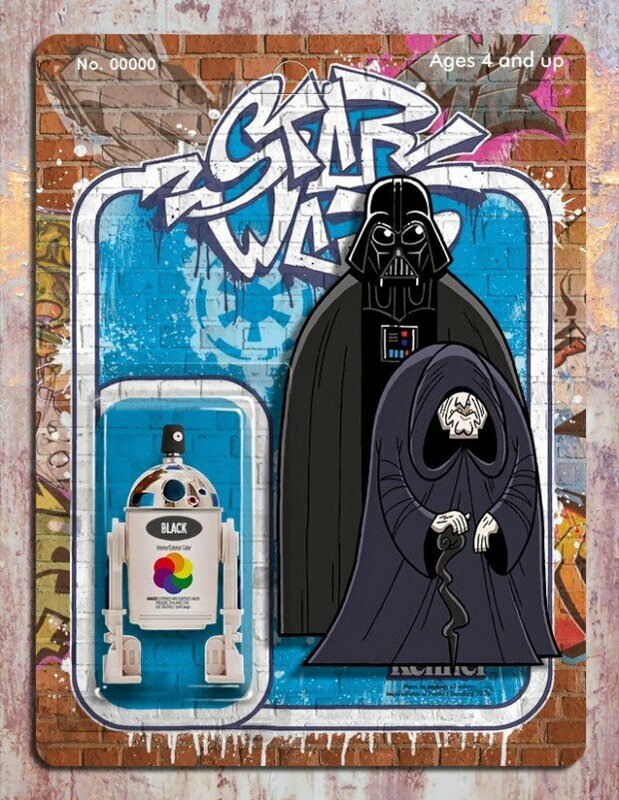 Be sure to head over to Phil’s blog to check out more images from his Star Wars street art series – and lots of other awesome art.